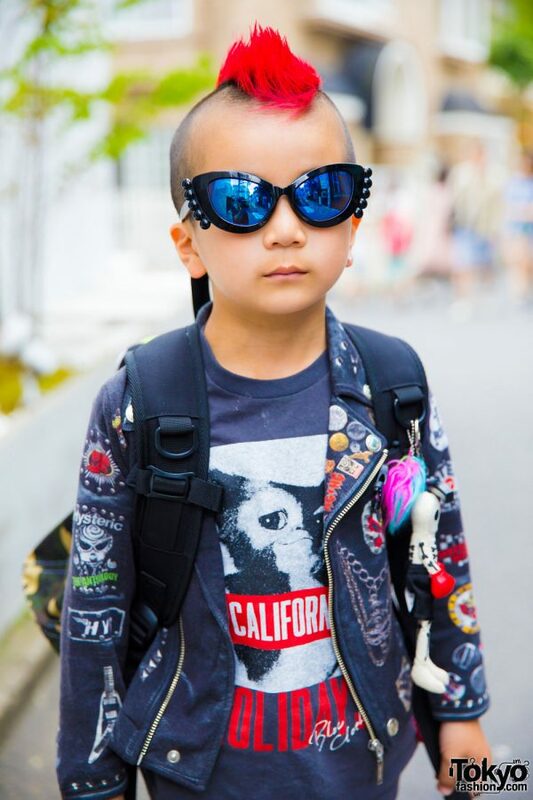 Sotaro is an adorable 6-year-old student who we met on the street in Harajuku. 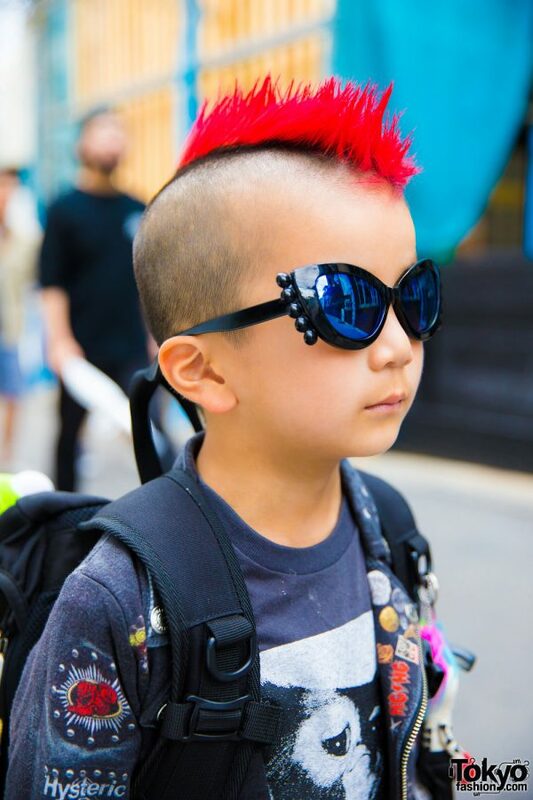 His eye-catching mohawk hairstyle and punk outfit definitely caught our attention. 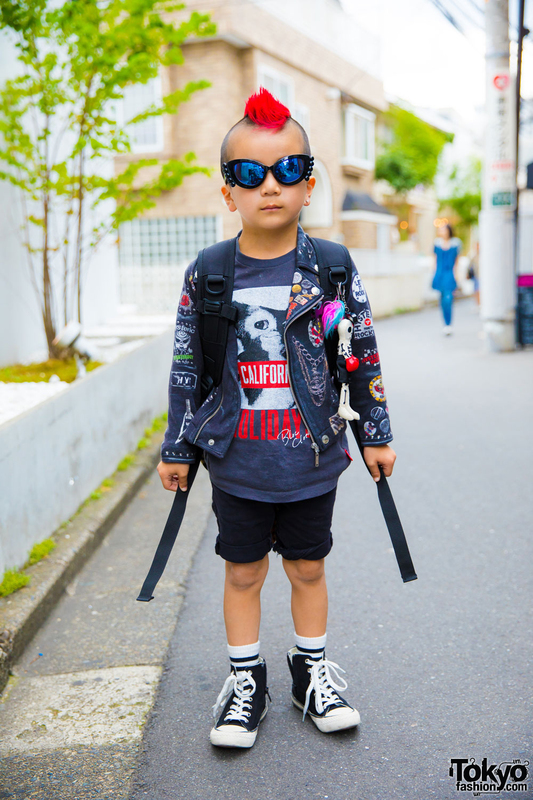 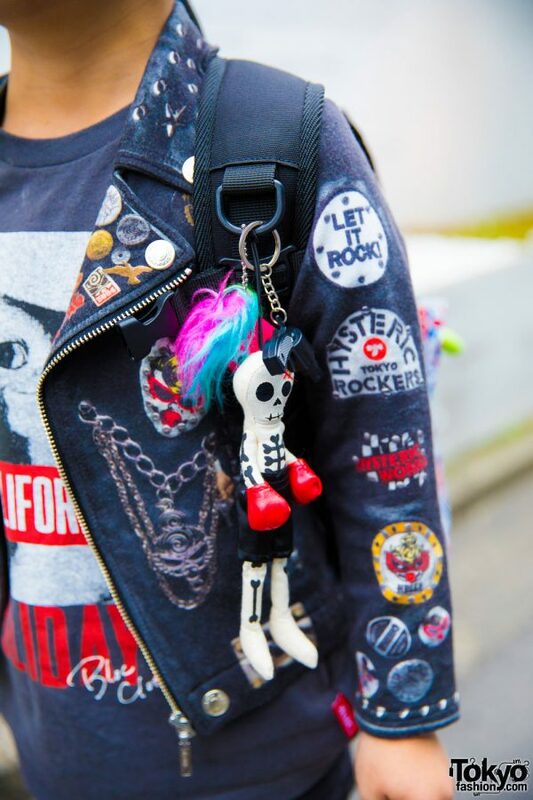 Sotaro’s look features a t-shirt from Bloc under a patched punk jacket from Hysteric Mini, Diesel Kids cuffed shorts, Hysteric Mini high top sneakers, and an XLarge backpack. 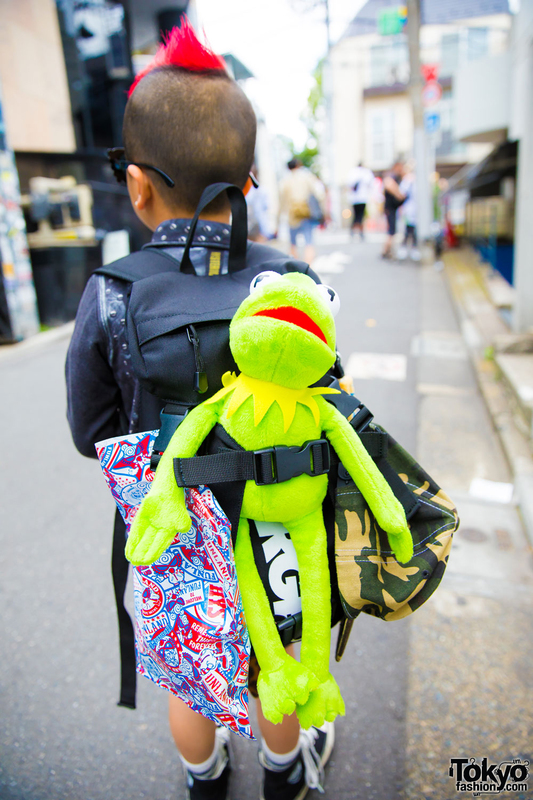 His accessories include cute sunglasses, colorful bag keychains, and a Kermit the Frog plushie. 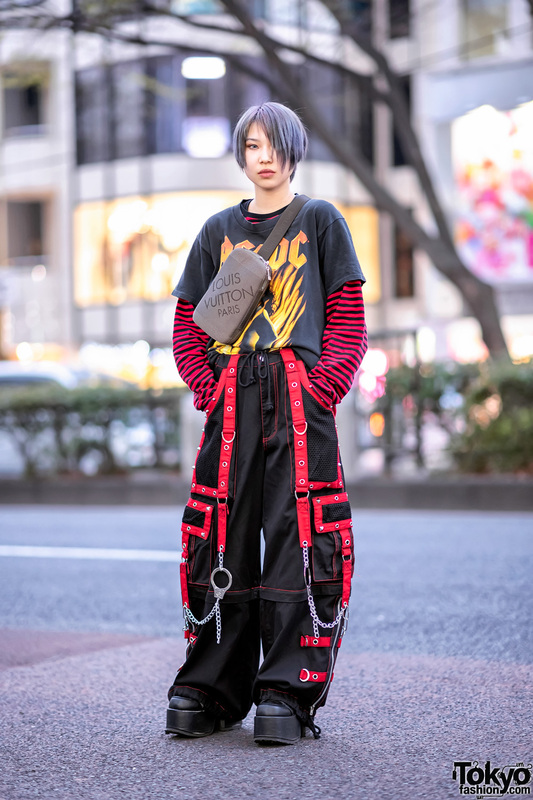 Sotaro says his favorite brands are Hysteric Mini and Bloc.